Reinventing your bedroom for a cozy feel and better ambiance requires some effort to keep everything according to your style and design preferences. Besides sleeping in soft and comfy sheets and durable frames, you can perk up your bed with upholstered headboards. But how can you choose the best design for your bed? There is a vast selection of upholstered headboards on the market, but it varies depending on the material, construction, size, and design. However, size and durability are the significant features to take note of; it should be something that’s built to last and can provide the comfort you need. 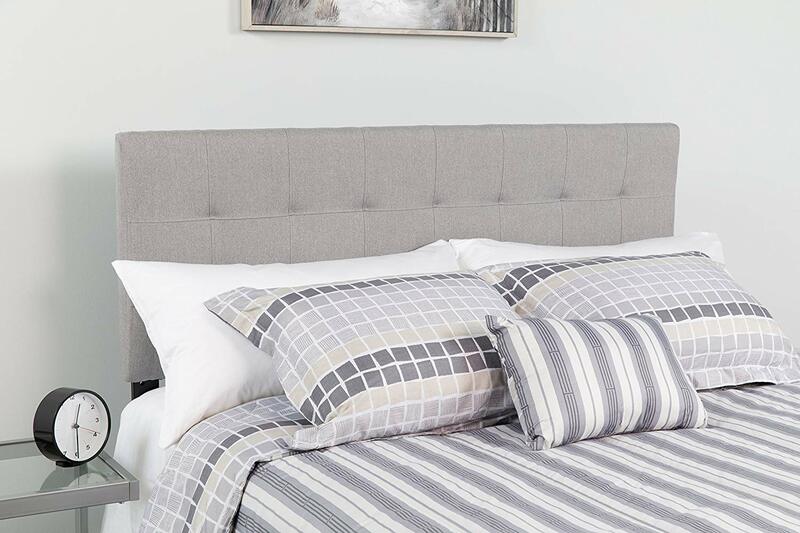 To help you out with the best options on the market, we’ve come up with an in-depth review and list of the Top 10 Best Upholstered Headboards in 2019. Check them out! If you’re searching for upholstered headboards with unique designs, perhaps to revamp your daughter’s bedroom or just to give your bedroom a classy furnish, YongQjang houses a wide selection of beautiful headboards you can opt for. 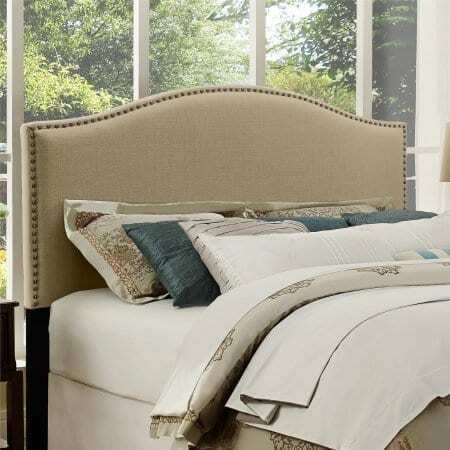 The Button Tufton embellished with a unique arch design is among the topnotch picks you can also put up on your bed. It is easy to assemble, too! When you read a book, watch TV or listen to music, you can lean your back on to this headboard while keeping yourself comfortable and relaxed. The vinyl fabric lends a smooth surface that makes it even more comfortable to get your head and back on. Apart from its unique design, YongQjang ensures a durable quality with its sturdy frames and hardware. 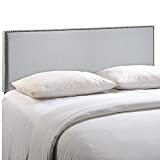 For a luxurious design on your bed, the Elain Tufted Line headboard from Rivet boasts its classic furbished classic design with box and cross stitches. Tailored with a high-quality fabric and padded foam lend a soft and cozy feel that you can revel in. Whether you read a book or just need a space to lean your back and head on, this stylish and comfy will definitely treat you with superior comfort. It showcases a transitional style that goes well with most interiors and decors in the bedroom. 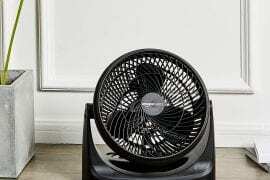 It also comes in a durable hardwood frame and birchwood legs which is also the reason why it can be pretty heavy. With all the assembly tools and hardware included, it becomes much easier to assemble. 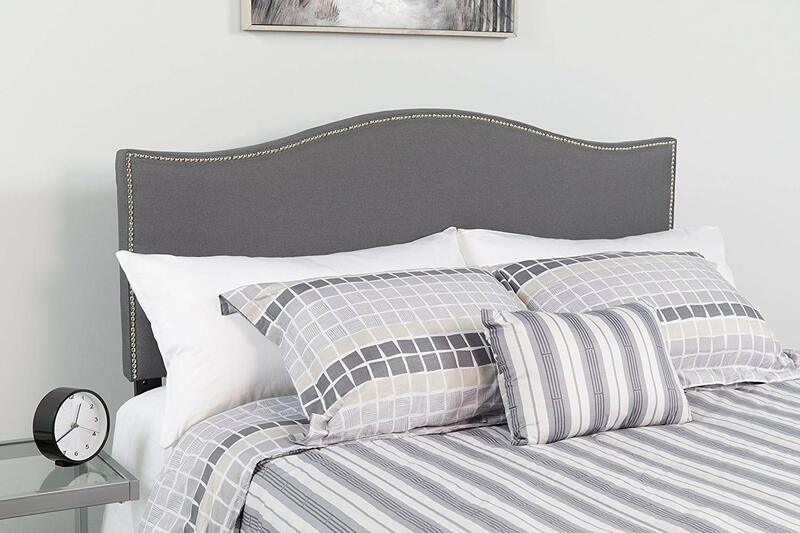 For a timeless and lavish design, Better Homes and Gardens upholstered headboard offers an elegant piece that’ll keep your bed edgy and a comfy place to sleep in or when you need to lean back and relax. 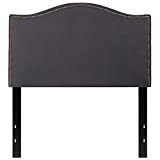 You can also lean your head and back onto this cozy headboard when you read books during mornings or sunny afternoons. With its opulent linen fabric, you can revel in smooth and soft support. 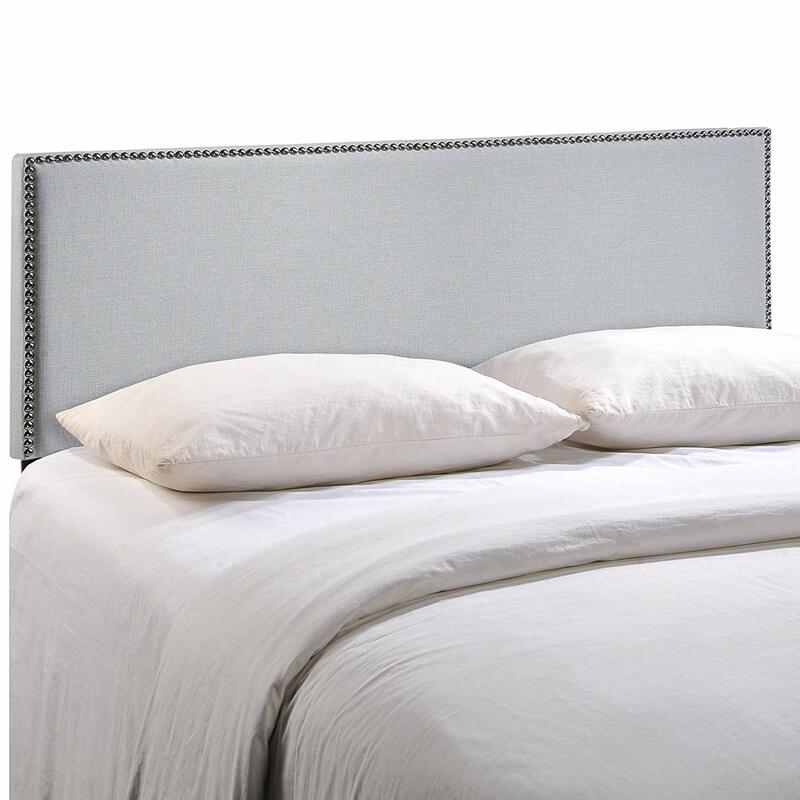 Whether you have a full, king, or queen size bed, this upholstered headboard fits. As it is designed for bolt-on style frames, it does not include any bed frames, but the legs and hardware are all included. Nonetheless, setting it up is easy. And if you want to adjust the height, you can do so. 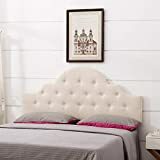 The metal nailheads and the modern arch of this upholstered headboard from Better Homes and Gardens can spruce up your bed with an elegant touch. The furbished gray shade and faux linen fabric lend a simple yet sophisticated look to your bed making it a homey space for a snooze! 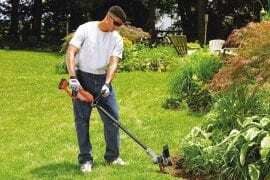 Besides the contemporary design, it boasts its durable construction and excellent quality that can last for many years. With just a little effort to assemble the headboard, it saves time; you can take delight in a warm and cozy bed space at any time of the day! If you’re into conventional yet elegant headboards, take this Lexington upholstered piece from Flash Furniture as one of your top choices. This style comes in gray which showcases a transitional style that can complement minimalist interiors. The arched top and nail trim embellishment presents a subtle design that will keep your bed comfy and cozy to sleep in. Aside from gray, this piece is available in many different colors such as red, orange, yellow, and earth tones; you can find the shade that blends with your bedroom interiors. 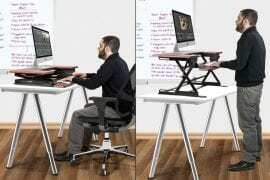 It also comes in different sizes depending on the bed size you’re using – full. King, queen, and twin. For the assembly, the frames are constructed with adjustable rail slots that you can easily attach to the bed and customize according to the height you prefer. 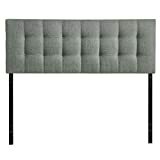 Another option for button tufted upholstered headboards is this stunning piece from Flash Furniture. 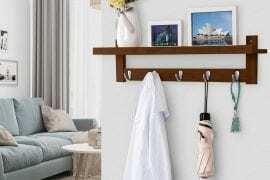 It showcases a rectangular shape that can beautifully complement your minimalist bed and bedroom interiors. The frames are sturdily built so it will stay intact when attached to the bed. 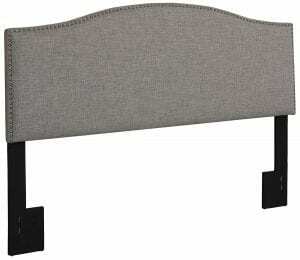 Apart from the gray color, the Flash Furniture headboards are available in many different colors. You can go preppy with their bright red and orange hues or stay minimalist and elegant with the neutral tones and earth colors. The metal rails are also adjustable that allows you to customize the height according to your preference. 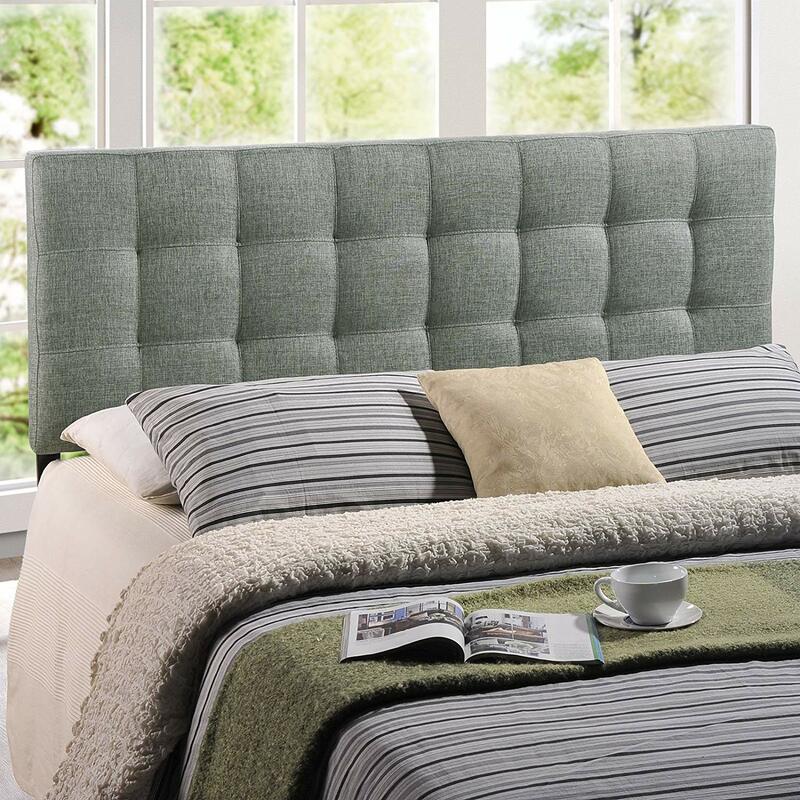 Vant Upholstered Headboards are probably one of the most creative and chic headboards to spruce up your bed. 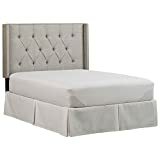 It comes in different packs of boxes that you can pick out according to your preference and customize your bed to add a modern, lavish, and inventive headboard on your bed. 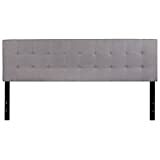 And whether you have a king, queen, full, or twin bed, these contemporary headboard boxes will keep you in style! It only takes 5 minutes to set everything up. These upholstered headboard panels create a dramatic and luxurious effect on your bedroom walls. And since you can pick out how many panels you can assemble, you can give your bed a beautiful upgrade according to your budget. It also comes in a variety of colors that allows you to be creative and artistic with your custom design! 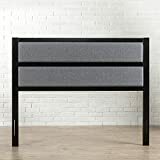 The Zinus Modern Studio headboard is among the best-selling headboards you can find on the market today. It boasts its contemporary design that can complement any bedroom decor. The available colors also come in chic gray hues for an edgy vibe. These gray shades also lend a tranquil atmosphere keeping your bedroom warm and cozy. This foam padded upholstery allows you to luxuriate in restful nights and relaxing afternoon reads. The metal frames also ensure a long-lasting quality that’ll spruce up your comfy bed for many years to come. Whether you have a king, queen, twin, or full-size bed, this upholstered headboard will keep you in style and superior comfort. The nailhead trim detail on this Modway upholstered headboard shows off a trendy element that promotes elegance and simplicity. Besides that, the sky gray fabric lends a warm and homey feel keeping a serene ambiance in your bedroom. Modway’s Region selection is engineered with padded foam which guarantees a premium quality comfort. Another impressive feature is its solid construction. Made from durable materials, this headboard is built to last and can keep your bed in its timeless and stunning beauty for many years to come. It is easy to assemble, and if you want to adjust the height according to your preference, the metal frames are adjustable. Modway’s Lily version boasts its fine upholstery and sturdy build that you can match with your bed. As there are available headboard sizes for king, queen, twin, and full-size beds, everyone will surely benefit from its comfort and chic design. The high-quality upholstery features padded foam that provides a relaxing backrest and a comfy bed space for a sleep sound. 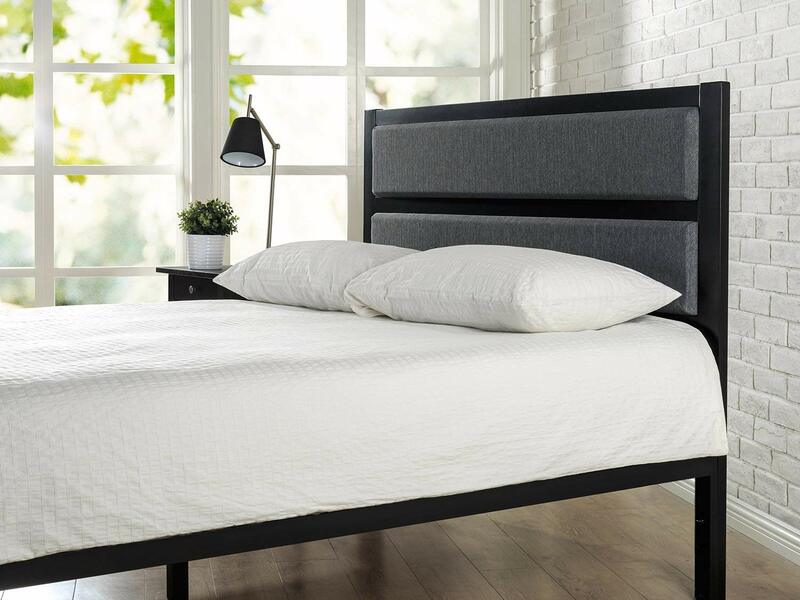 There are adjustable rail slots that allow you to customize the headboard according to your preferred height. With its modern and trendy style, it definitely spices up your bedroom and leaves a homey feel. The structured pattern and tufted pattern accents emphasize its timeless design that you’ll surely love. SIZE: The size is greatly considered when picking out an upholstered headboard for your bed. It all depends on what size of bed you’re using — twin, full, queen, or king size. If ever it is a custom size, make sure you settle on a headboard with the required dimensions. 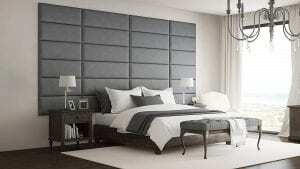 DURABILITY: It all comes down to the construction and materials used on how a headboard can last. The frames should be reinforced with sturdy materials to ensure its quality that should last for long periods of time. The sole purpose of these upholstered headboards isn’t just for embellishment, but as a part of the bed, that enhances the comfort and the overall quality. STYLE & DESIGN: If you’re all into contemporary designs, traditional themes, simple and elegant styles, there is a wide selection of designs and style to choose from. You can go with brighter hues with busy prints, or you can settle for pure elegance and simplicity with minimalist designs and colors. Some design showcase curvy and round edges while others keep it classy with rectangular shapes. Most upholstered headboards you’ll see on the market today come in different colors, and you can choose whichever complements your bedroom interiors. 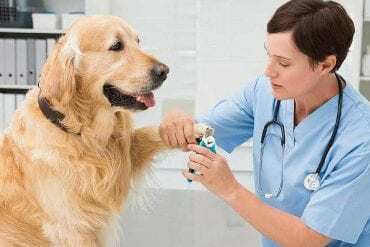 ASSEMBLY: Another factor to consider is the assembly. If it is your first time to put up an upholstered headboard, the adjustable bed rail slots will get you out of the hassle installation. Make sure the headboard keeps intact and isn’t wobbly when you attach it to the bed. When such piece is easy to put together, it can save you more time and effort. Investing in an upholstered headboard is giving your bed a stunning furnish. Redesigning your bed with this piece makes bedtime more comfortable and relaxing everytime you sleep in. Snuggling in the sheets gets warmer and cozier! Putting up an upholstered headboard also gives the top side of the bed a safer and comfier spot to lie your head on. If you haven’t found the best style, design, and size for your bed, you’re in luck! 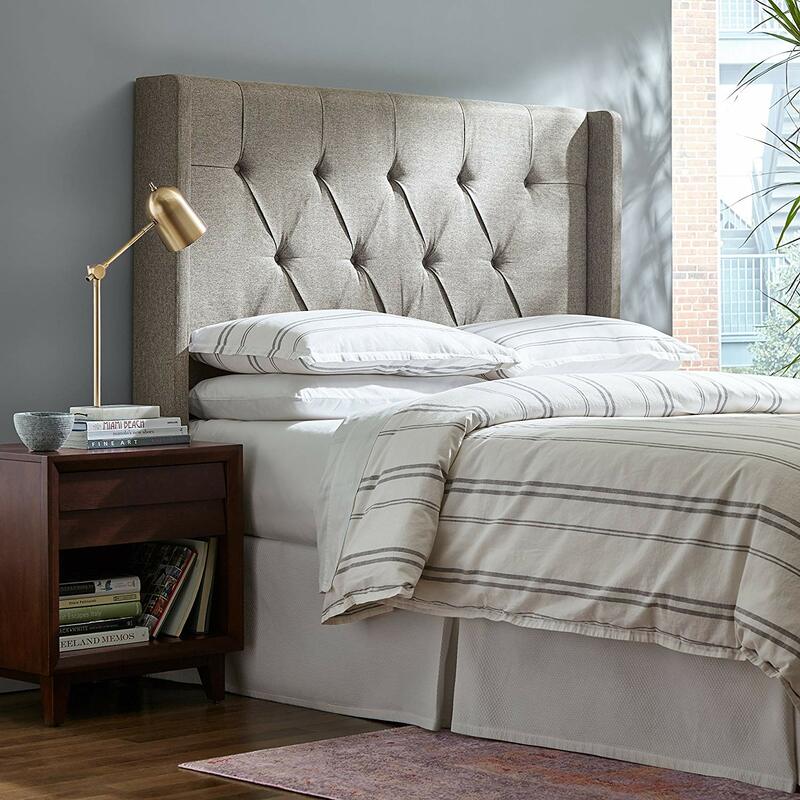 Our in-depth guide and reviews of the top ten products will lead you to the topnotch upholstered headboards you can find. And before you settle on any design of your choice, make sure to consider the major factors: size, durability, style & design, and easy assembly.